Katsushika Hokusai is arguably the most famous 'ukiyoe' wood block print artist. Towards the end of his 7 decades of print-making, when he was in his 80s he spent time living in Obuse, the quaint town northeast of Nagano City known for chestnuts (kuri). 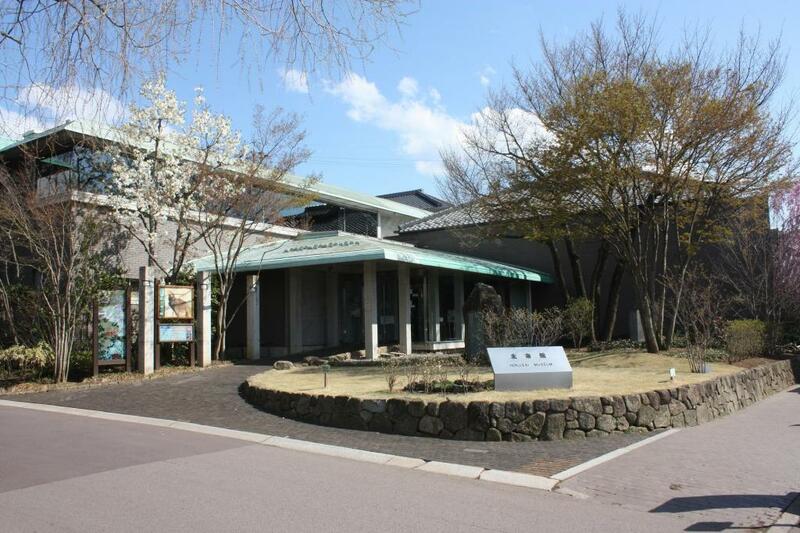 Here he created some of his greatest works, many of which are exhibited at this museum dedicated to him. The collection includes 4 paintings he inscribed on the ceilings of some of the neighborhood parade floats, the Dragon and Phoenix of the Higashimachi floats, and the Onami (masculine wave) and Menami (feminine wave) of Kanmachi floats. The museum was renovated and reopened April, 2015 with a new media hall and additional display space. Open 09:00-17:00 with entrance possible until 30 minutes before closing. NOTE: Some seasonal changes in the hours. Closed 31 Dec. and for changing exhibits.